How to get the aircraft safely airborne off a hard surfaced runway, with no crosswind and sufficient runway length. No takeoff… no flight ! What is the main control to counteract the yaw? What do we have to do during a climb to reduce the risk of collision? What does best rate of climb mean? When you apply full power what do you need to do with rudder? Basic theory: Factors affecting takeoff performance. Airport elevelation: High = air less dense = reduced performance. 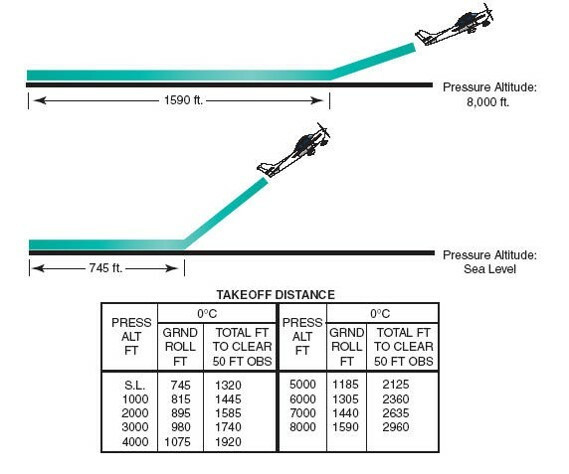 Pressure Altitude / Density altitude. Weight / Weight and Balance. Temperature: High = air less dense = reduced performance. Relative humidity: High = air less dense = reduced performance. Take-off distance (TOD): should always be expressed as the total distance required to accelerate from a standing start, and clear an imaginary obstacle 50 feet high. Ground roll: is that first part of the TOD where the aircraft’s weight is partly or fully supported by the undercarriage. Reduced rate and angle of climb. Pressure altitude / density alitude. Pressure altitude is the height above sea level corresponding to a given barometric pressure under standard air condition. Density altitude is pressure altitude corrected for non standard temperature. High density altitude means low density of the air (high altitude). reduce thrust created by the engines. reduce lift (lift is proportional to the air density). If the runway is sloping, a component of the weight acts along the runway and increases or decreases the acceleration force. Downhill slope increases the accelerating force, and therefore reduces the take off distance. Uphill slope reduces the accelerating force and increases the take off distance. The runway surface condition has effect on the wheel drag. If the runway is contaminated by snow, slush or standing water, the wheel drag will be greater. Thus the accelerating force decreases and the take off distance required increases. Further on, if the take off is abandoned in such conditions and breaking is required the stopping distance will greatly increase. The same principle exist between paved and grass runway. Flap setting has an affect on the wing’s lift coefficient and on the aerodynamic drag. Increasing flap angle increases the lift coefficient, and therefore reduces stalling speed and the required take off speed (the same lift will be created at smaller air speed due to greater lift coefficient). This reduces the take off distance. 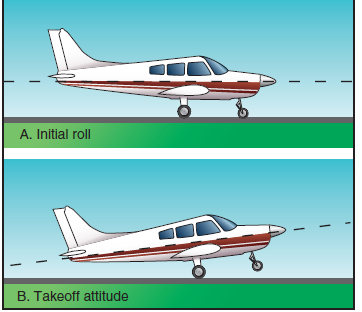 An optimum take off setting can be determined for each type of aircraft and any deviation from this setting will give an increase in the take off distance. At uncontrolled airport call Unicom /Atf for radio check and active runway. At controlled airport contact the tower operator and receive a takeoff clearance before taxiing onto the active runway. Be certain that the approach and takeoff paths are clear. Give way to landing aircraft. 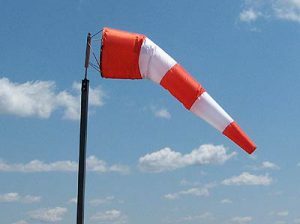 horizontal for winds greater than 15 KTS (KT). 5° below horizontal for 10 KT. 30° below for 6 KT. Nose wheel straight and on centerline. cabin check: primer lock/master on/magneto both/carbheat off/fuel both/heading indicator). Radio: exemple: north pole traffic roll 09 for take off. Release brake, maintain feet on the rudders, apply full power smoothly but promptly. Maintain the plane center with rudder. Monitor Engine instruments for any malfunctions (temperature/pressure gauge, rpm). Elevator control — LIFT NOSE WHEEL at appropriate IAS (check POH). At appropriate airspeed back pressure and lift-off. Rotate at appropriate IAS (check POH). Make a smooth, positive rotation to leave the ground. Leave the plane accelerate to appropriate IAS (check POH). Right rudder to counteract the left tendency. Accelerate to Vy (check POH) and control the speed with pitch attitude. Maintain pitch attitude with horizon reference and confirm with airspeed indicator. 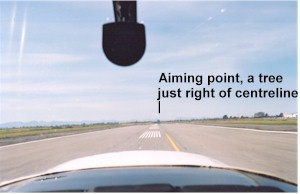 Maintain centerline with rudder (don’t forget left turn tendency = right rudder). 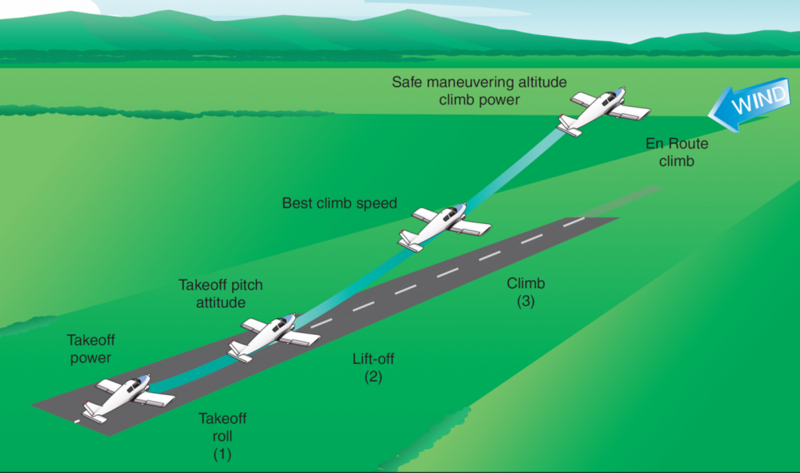 At 500 feet (AGL) above the surrounding terrain or obstacles leave the plane accelerate to enroute climb. Raise the noise to check traffic and come back to pitch to enroute climb. Lower nose to best glide airspeed (check POH). DO NOT TURN BACK TO THE RUNWAY. Land ahead, with only gentle turns to avoid obstacles. A condition caused when forward yoke or stick pressure during takeoff or landing causes the aircraft to ride on the nosewheel alone. All aircraft generate wake turbulence while in flight. This disturbance is caused by a pair of counter-rotating vortices trailing from the wingtips. The vortices from larger aircraft pose problems to encountering aircraft. The wake of these aircraft can impose rolling moments exceeding the roll- control authority of the encountering (rencontrer/se heurter) aircraft. Vortices are generated from the moment an aircraft leaves the ground, until it touches down. Worst for large, heavy aircraft with high angles of attack. How to avoid wake turbulence? Rotate prior to the point at which the preceding aircraft rotated. Approach the runway above a preceding aircraft’s path. Touch down after the point at which the other aircraft wheels contacted the runway. What are factors that affect takeoff performance? Why selected a ground reference point before rolling ? Which way will the aircraft tend to yaw and how to correct it? 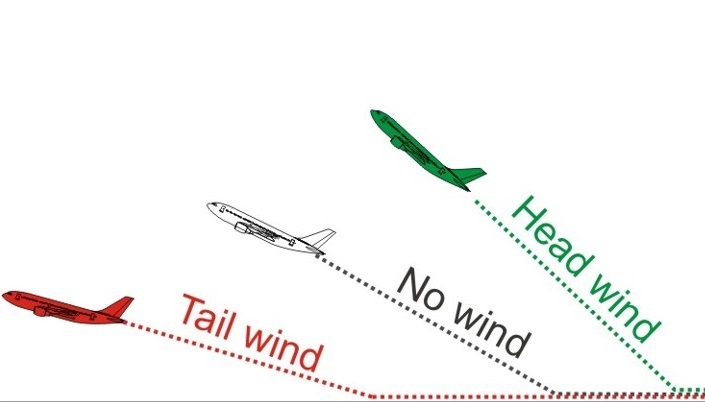 What effect will a head wind have on the angle and rate of climb?